A board in the Coppell High School hallway highlights moments from the senior class's year. Seniors across the nation are finalizing their college decision today for National College Decision Day. College Decision Day from irma kennedy on Vimeo. 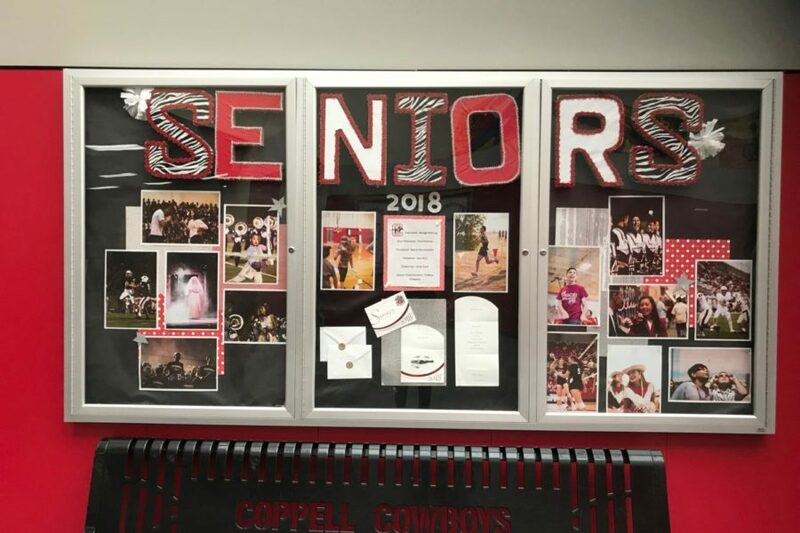 Today, for National College Decision Day, seniors at Coppell High School and around the nations must finalize their decision of which college they will be attending. 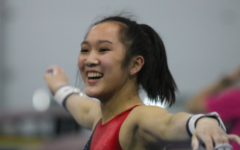 CHS senior Jasmine Lau plans to study electrical engineering and computer science at University of California-Berkeley, and only made that decision last night. 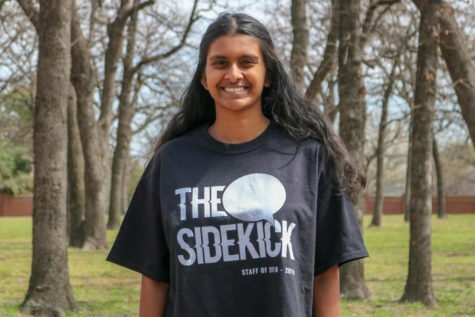 She was accepted into a multitude of colleges, with the final decision coming down to Southern Methodist University and Berkeley. SMU offered her a full scholarship and automatic acceptance into both their business and law schools. Lau is also passionate about art, but is unsure of how much she will be able to fit it into her future life. 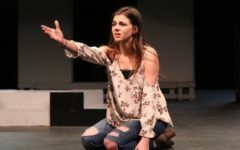 CHS senior Alexandra Price, who is going to Baylor University for marketing and interior design, was also deciding between two schools and only finalized her plan recently. Her other choice was Texas Christian University.